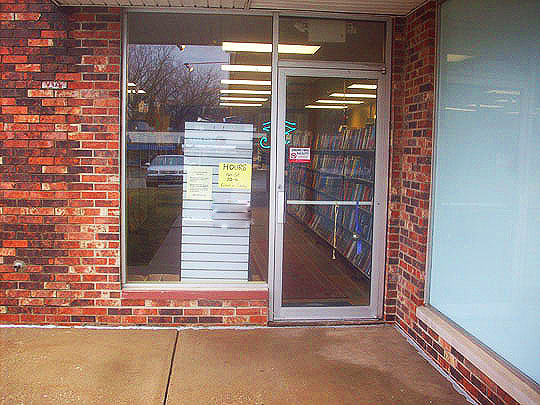 I love book stores and I just discovered that Peoria is home to one of Central Illinois largest independent book stores that stocks over 120,000 titles. 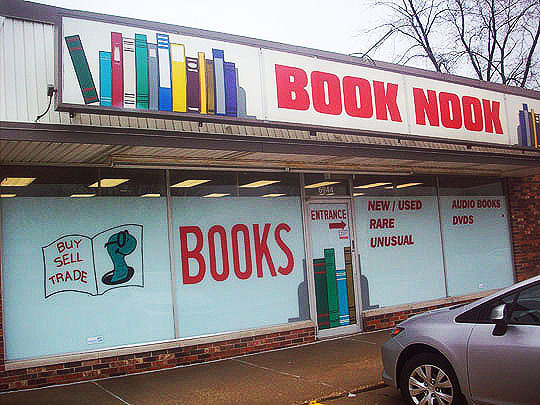 The store is called The Book Nook and its been in business for over seven years. Put on your reading glasses, because that’s today’s booked destination! 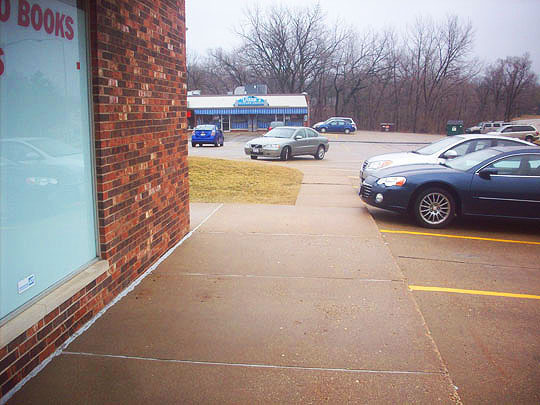 The store is just about a five minute drive from where I live, so that's handy. And so it's that-a-way we go! 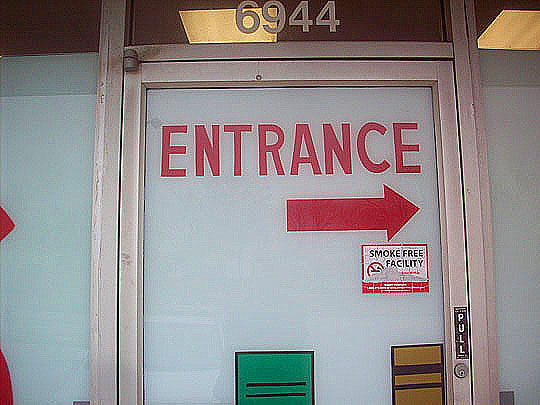 Hmm...the entrance is through a glass window? This could be a little challenging. Luckily, before I crashed through the window, I turned and saw this door. You can put away your first aid kits for now. They're open, so let's go check this place out. 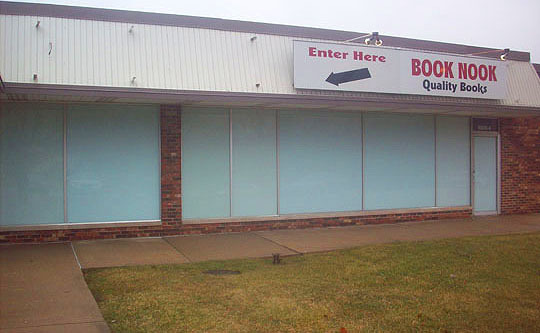 Wow, this place is packed with books! Books are everywhere in here, they're even stacked up here at the front desk. This place makes me think of this Twilight Zone episode. Here's the owner of the store, Mike. He's owned and operated this bookstore for over seven years and invited us to look around. 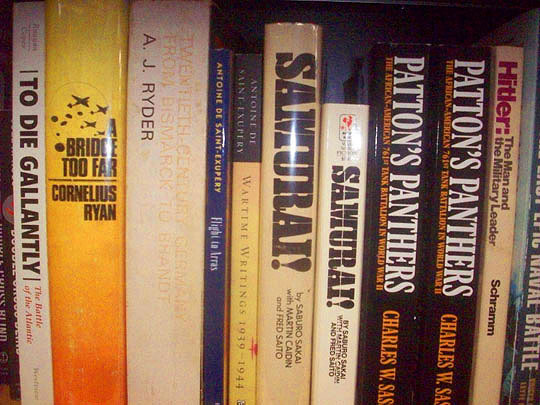 So let's look at some of these books! As you can see, they stock all kinds of titles in here. I wonder if this book has a photo of John Belushi's house in it? 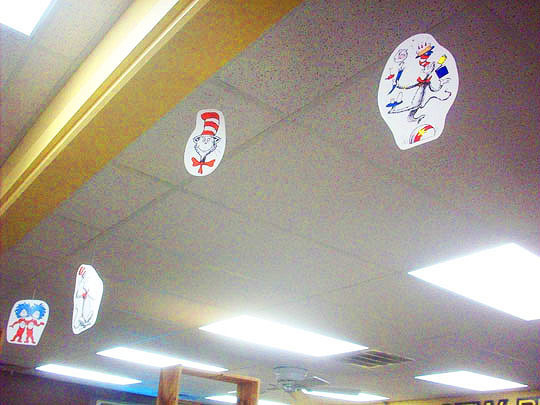 Dr. Seuss images dangle from the ceiling. 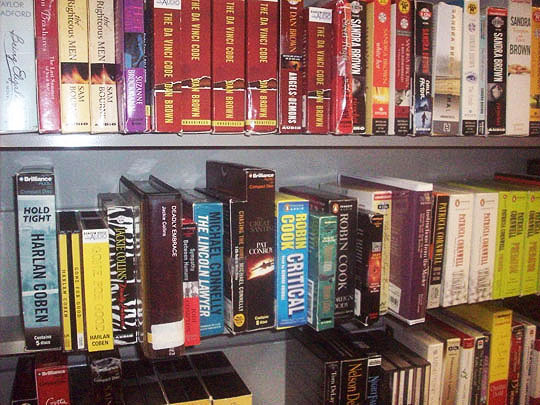 Here's some boxes of books for easy readers. And there's audio books if you prefer to listen instead of read. 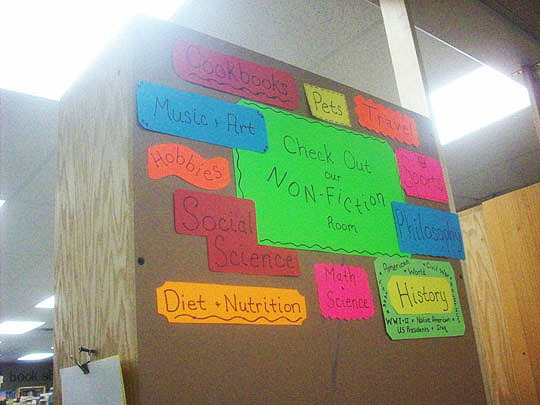 In addition to books, The Book Nook also has a whole wall of DVD's. There's bargain romance paperback books up at the front of the store for all you Romantics fans out there. 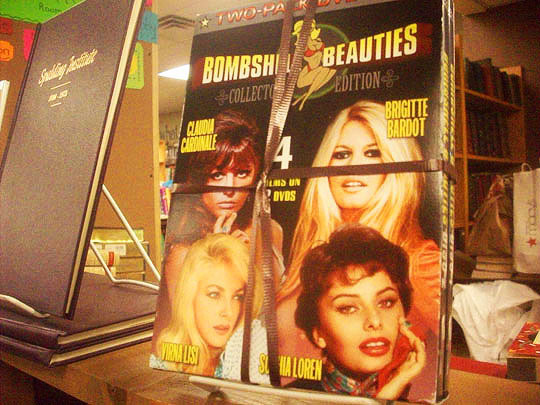 Bombshell Beauties, ooh la la! Speaking of bombshell beauties, check out this Traci Lords biography. Well, I think I've found today's purchase! Check it out, free bookmarks! And back home to my own personal book nook. See you all tomorrow...and hey, let's be careful out there! Further Reading: Google Plus, facecrack and Insider Pages.